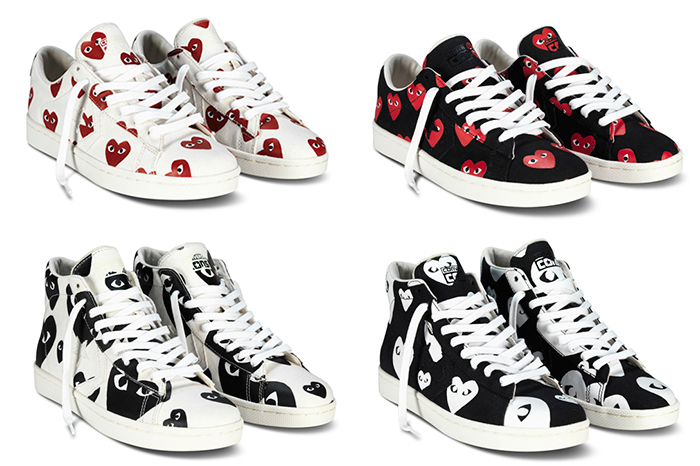 The COMME des GARÇONS PLAY x Converse partnership is one that we are all familiar with, but here we see it tinker with the Pro Leather silhouette for the first time. 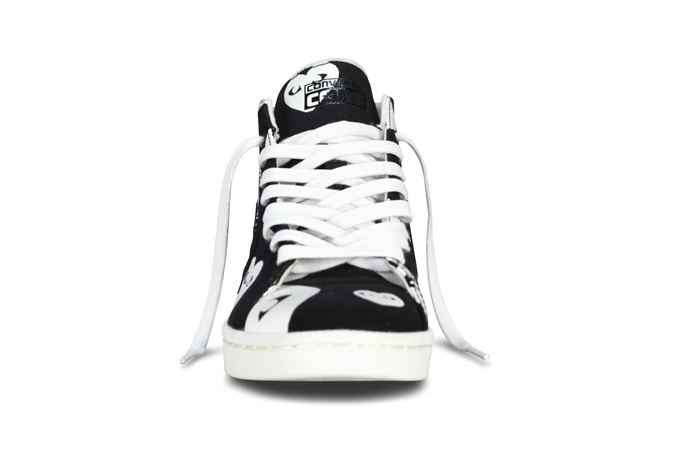 Sticking with their usual material choice of heavy canvas, this capsule collection puts the Pro Leather in a new light. 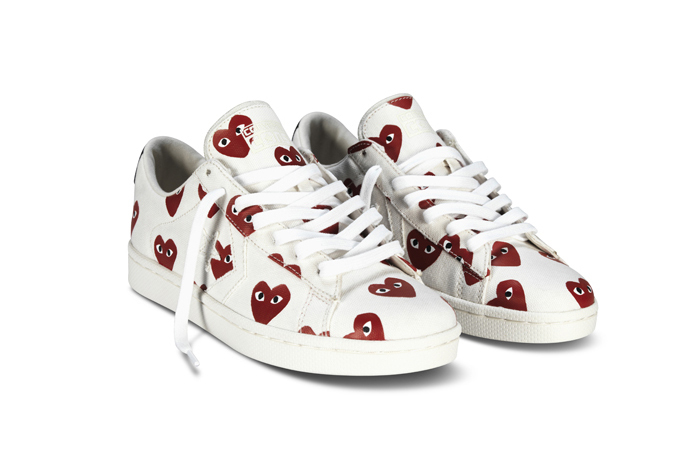 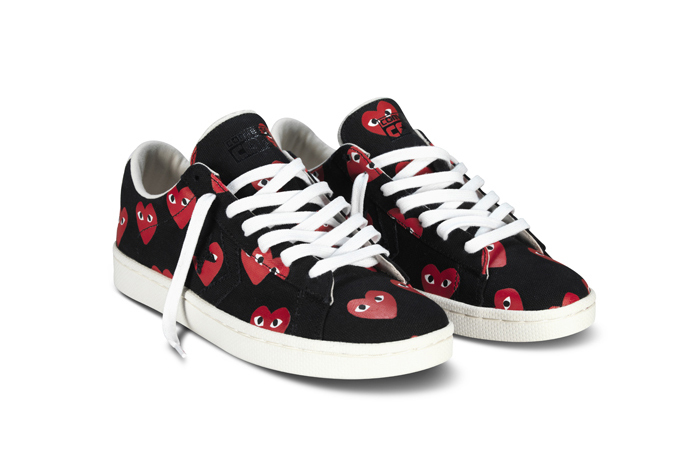 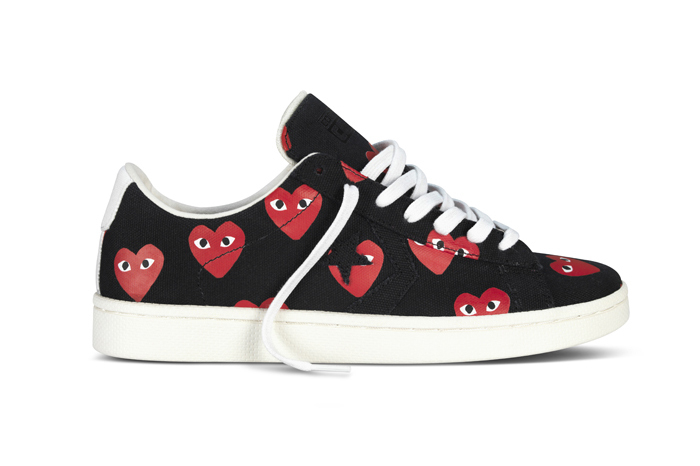 COMME des GARÇONS have decided to go a little more bold than their usual approach, covering each shoe in the PLAY logo rather than tucking a singular one on the side. 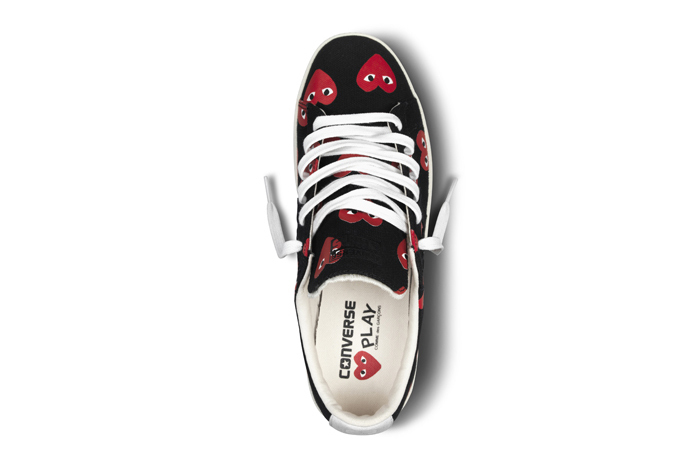 As with most of the PLAY Converse, there is both a mid and low option and we also get both a white and black base option here as well. 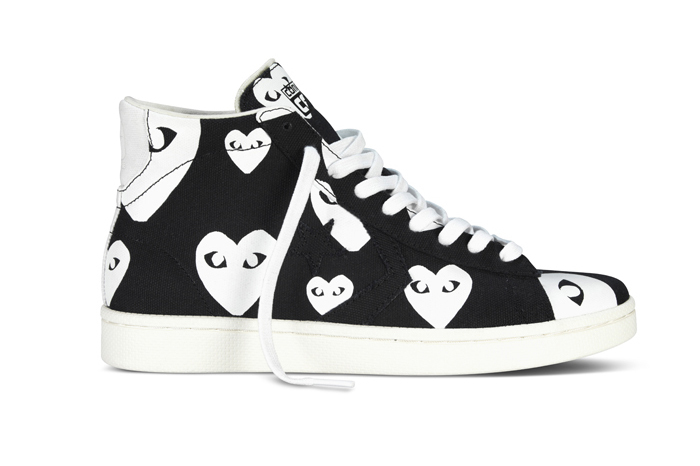 These will undoubtedly prove popular with the Dover Street Market crowd, having a lot of the qualities of the beloved PLAY Chuck Taylor but with more noticeable branding. 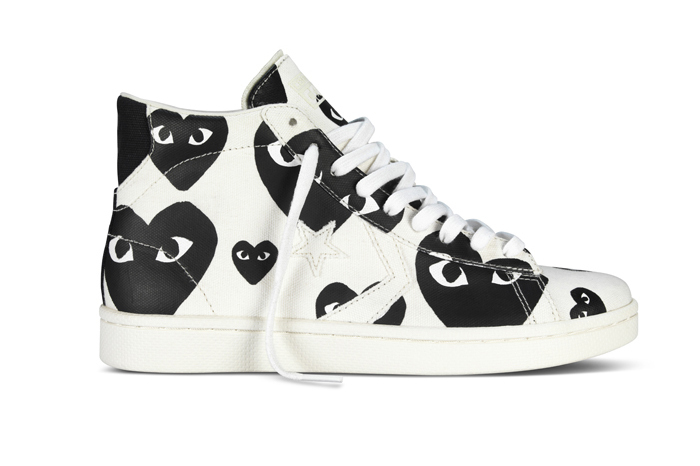 For us, it’s all about the white mid version and the black low. 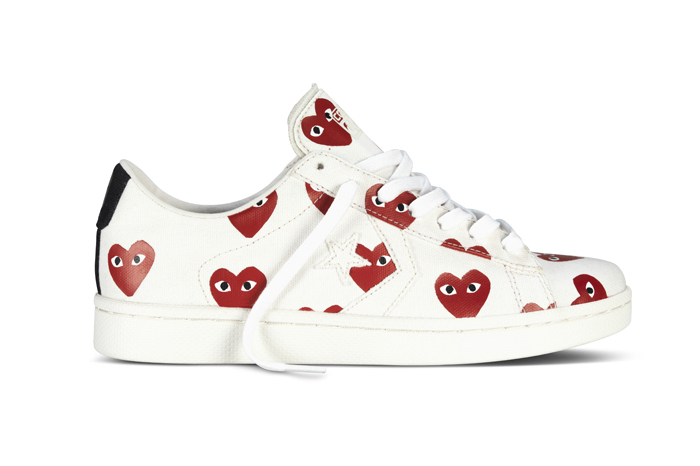 The Pro Leather collection hit the shelves of Dover Street Market only minutes ago.